"...Mr. Gothard has resigned as president of the Institutes in Basic Life Principles, its Board of Directors, and its affiliated entities,” David Waller, administrative director of the Advanced Training Institute to families involved in the ministry, wrote in an email. 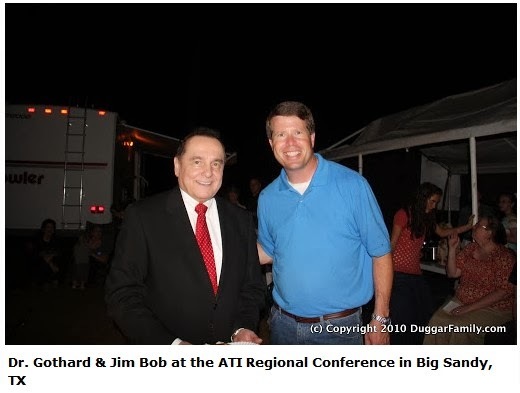 ATI is a homeschooling program in which Jinger Duggar quoted the organization’s theme song in the Duggar’s book The Duggars: 20 and Counting! 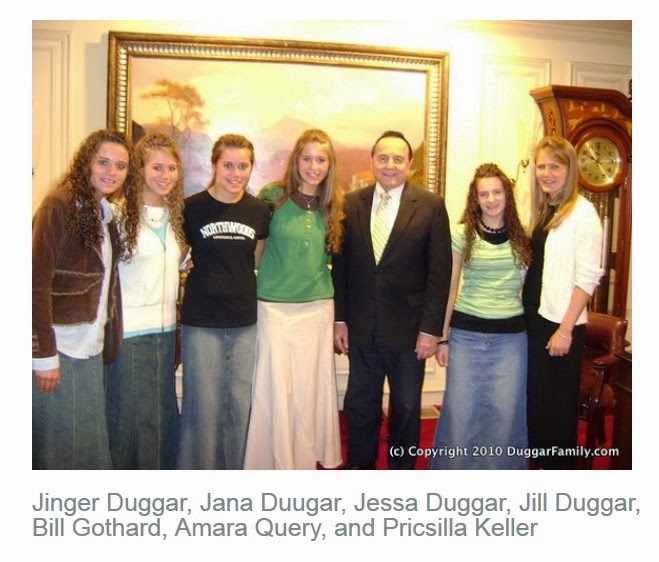 4/3/14 UPDATE: In hopes of getting the Duggars on record about Gothard's resignation, in recent weeks I sent multiple e-mails to the Duggars representative, Sylvester Smith at Legacy Consulting in Little Rock, Arkansas, and to Jim Bob and Michelle Duggar. "I think it's important for each person to put their faith in Jesus and not follow any man. For us its so important for each of us to have a relationship with the Lord. And the foundation of the relationship is asking Christ to forgive us for our sin, and to turn over the control of our life to Him, and to follow him. And so we don't follow any men, and that's just where we're at." When asked specifically if the advice in the book still stands, despite the controversy surrounding the man who produced it, Jim Bob added, "What we do as a family, is we just follow what the Bible says. As a family, that's our goal. ... People will let us down, but Jesus won't." In other words, Gothard's ideas will remain a part of their family, even if the man behind them doesn't.